1.Go to http://www.poedit.net/download.php and download Poedit for your system (Wndows/MAC). 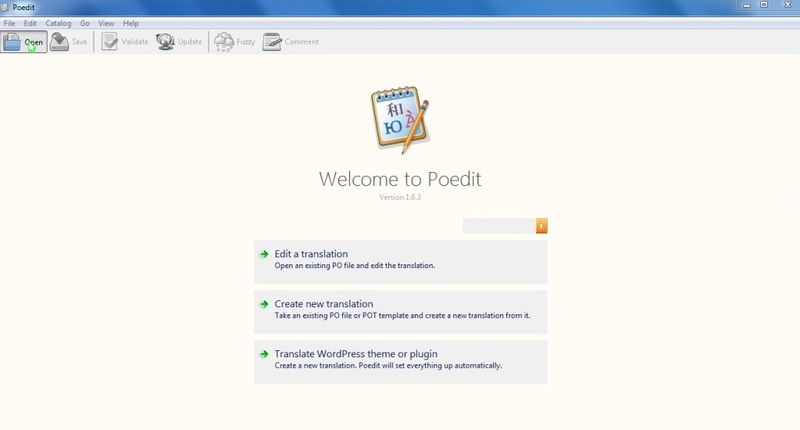 Poedit is a free, open source and cross-platform gettext catalog (.po file) editor to aid in the process of language localization. 2.Install it on your computer: double click the file and follow the steps it suggests. 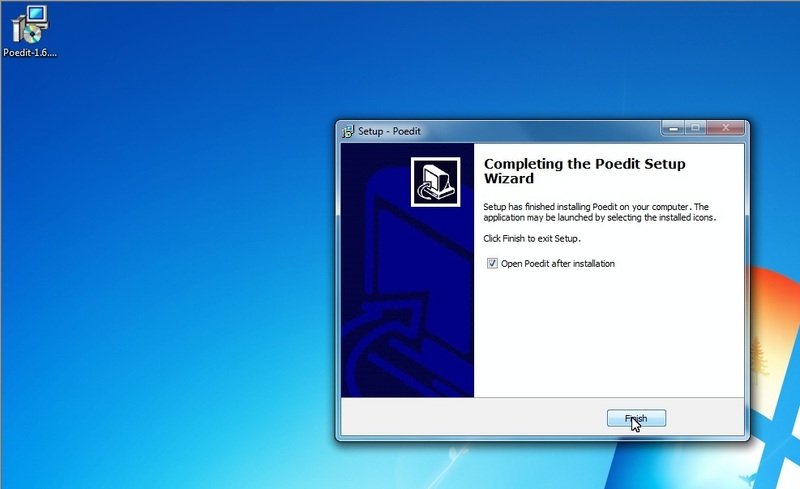 At the end of the installation, make sure the option Open Poedit After Installation is checked and click Finish. 5. 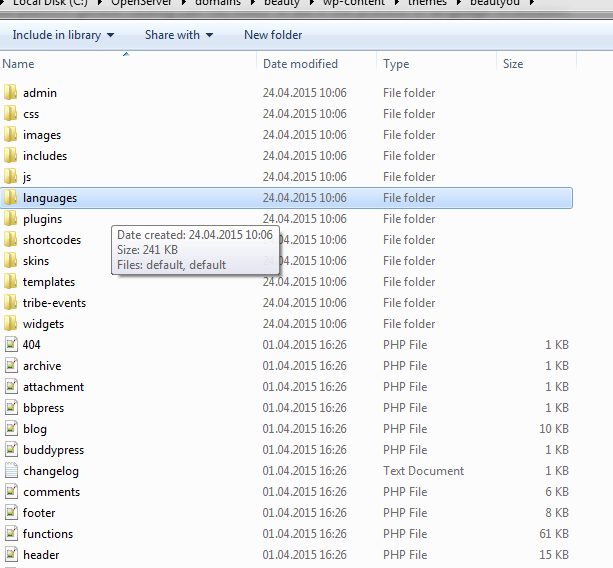 Save the two language files on your computer. In Poedit click Open. 7.Look for the text string you want to translate in the left column called Source Text. You can hit Ctrl + F to look for a specific string of text. 8.Click the text string to select. It will appear in the Source Text lower column. Change the text in the Translation bottom column. 9.You can translate text both for the front end and back end of your site. When you are done, click Save and upload both files to thewp_content/themes/your_theme/languages directory on your FTP, replacing the existing files.